Drop Forging is used to produce steel forgings and aluminum forgings, by pressing heated metals – under high pressure – into desired final shapes under the workforce of forging dies, this process is also called closed die forging. They can be designed to produce simple to complicated forgings with high dimensional accuracy. Our drop forging company manufactures parts with high strength, good toughness and wear resistance with smooth surfaces. Our company is a Tier 1 and Tier 2 supplier for the following industries: Automotive, Agricultural, Commercial Vehicle, Heavy Equipment, Oilfield, Off-Highway and Recreational Vehicles. Our full-service company specializes in manufacturing drop forged products made from steel and aluminum alloy materials. Our knowledge, combined structured project management methods, supports customers from concept, through tooling and pre-production stages, as well as full-scale manufacturing. The workshop at Drop Forging China includes a large variety of machines with tonnage ranging from 200T to 2,500T. Also, we feature top-of-the-line dedicated sections for drop forged steel and aluminum parts. 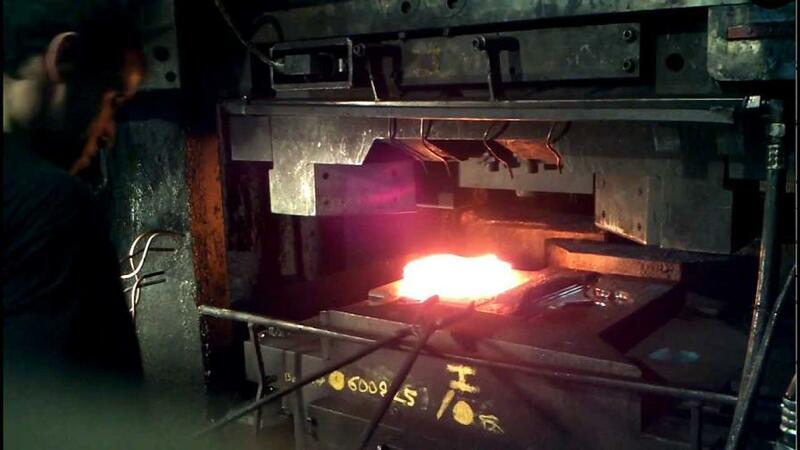 We are equipped with 9 production lines for small to medium type drop forgings. We are a quality-driven drop forging manufacturer and supplier; adhering to full compliance to TS16949 and API quality standards. Our 20,000 sq. ft. service facility is divided between the closed die drop forging process and the secondary machining operation. This manufacturing diversity allows you to take your most complex components and have them delivered to your manufacturing facility machined to print. The most attractive factor that guides companies to source drop forging services from China is that, in China, they can buy high quality drop forgings as good as their local suppliers, but can save much costs and win more profit. So more and more overseas companies turn to China drop forging company like Fly Forge for their projects. Looking for drop forging services in China? Pls contact us right now!